Its launch is a signal of WPP's online media intent, Alasdair Reid writes. Xaxis was only a matter of hours old when it ran into its first major controversy. How to make sense of this exotic-looking, somewhat hostile jumble of letters? WPP's mathematicians and Cartesian philosophers instinctively pronounced it X-Axis, as in something you'd draw on graph paper; while its Ancient Greek scholars plumped for Zaksis, which sounds a little bit more like the name of someone who might have been Xenophon's right-hand man during his strategic withdrawal from Medea in 401 BC. Such pettifogging confusion is pure foolishness, however - there's clearly nothing in the nature of a strategic withdrawal about Xaxis. Quite the reverse. Launched last week as WPP's new superbrand in the online media space, Xaxis subsumes a clutch of existing operations (for instance, B3, Group M Marketplace, targ.ad, GoldNetwork and Group M DSP) and is clearly a move to underline the group's leadership credentials in this space. The timing was hardly a coincidence, with Xaxis being unveiled a matter of days after Microsoft's launch of its new Ad Exhange. At the most simplistic level, Xaxis will make more sense of online media buying in a world dominated, on the selling side, by exchanges. But it is also clearly intended to be a bigger statement of intent. WPP wants to be seen as taking a lead role in shaping the online display market as it prepares to take a step, a decade in the making, from square one to square two of its evolution - both buyers and sellers are beginning at long last to transmute clicks and cookie metrics into sophisticated online audience data. 1. Xaxis will be led by its chief executive, Brian Lesser, who steps up from his role as the global general manager of another of WPP's digital units, Media Innovation Group. Last week, Lesser commented: "Xaxis streamlines and improves advertisers' ability to directly target specific audiences, at scale and at lower cost than any other audience buying solution. In addition to more effective audience targeting, Xaxis navigates the complex and highly specialised digital marketing environment of DSPs, ad exchanges, ad networks, optimisation tools and data suppliers. Because Xaxis operates a proprietary technology platform without bias to any media company, we can better provide objective and comprehensive insight to our partners." 2. As well as Lesser, the global board will include Rob Norman, the chief executive of Group M Interaction, Irwin Gotlieb, the chief executive of Group M Worldwide, Jurgen Blomenkamp, the global head of trading at Group M, and Mark Read, the chief executive of WPP Digital. The EMEA board includes Lesser, Blomenkamp, Dominic Grainger, the EMEA chief executive of Group M, and Ruud Wanck, the head of interaction, Group M EMEA. The operation will be led in the UK by Veerle De Lombaerde. 3. In branding terms, the initiative will allow WPP to play catch-up with Publicis Groupe, which launched VivaKi Nerve Centre in June 2008 - though WPP will argue that Xaxis is more ambitious in terms of its global reach and the comprehensiveness of its offerings (VivaKi focuses on ten or so major markets). VivaKi Nerve Centre offers what it calls a "full suite of solutions" from Publicis' digital agencies, and its systems include Audience on Demand, Campaigns on Demand, Benchtools, The Pool, VivaKi Ventures and the Ad Operations Centre of Excellence. 4. Omnicom and Interpublic are more modest about their offerings in this area. However, in July 2010, Omnicom signed a partnership deal with Google. Google has become a preferred supplier of display inventory for Omnicom agencies and their clients - and Google has also built a global trading desk allowing the group to interact more easily with Google's ad exchange. In 2006, IPG launched its Media Lab unit, which provides its agencies with digital media insights and experience. It has partnerships with the likes of AOL. 5. 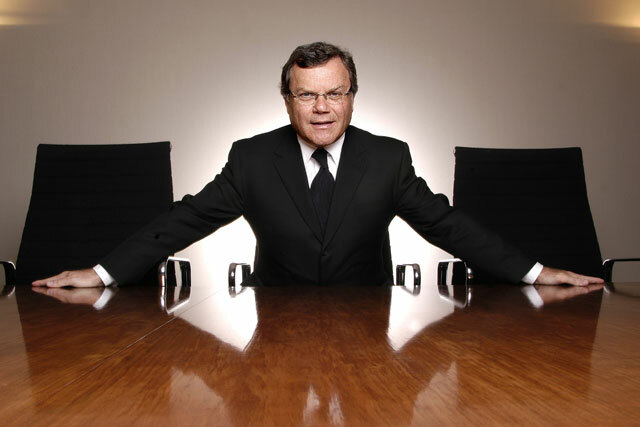 WPP's approach is likely to be more feisty. Last week, as Xaxis launched, WPP's chief executive, Sir Martin Sorrell, challenged Google to release more campaign performance data relating to WPP clients. He pointed out that, though WPP is a giant in the ad business, in this digital context, it is a "$15 billion minnow wrestling with a $167 billion orang-utan". - In committing itself to the development of its own in-house proprietary data analysis and trading systems (and that's clearly what Xaxis aims to do), WPP is arguably taking a gamble. - Developing proprietary systems gives you an undoubted unique selling proposition. The downside is that it tends to restrict your future options. Other holding companies may continue to favour buying in best-in-class systems from independent companies, as and when required. - If one of the big digital inventory owners comes up with some revolutionary way of ordering the marketplace, WPP has to hope that its people can come up with a trading platform to match the new opportunity. - Rivals don't have that worry. They'll just put a spec out to tender. - Over the coming weeks, advertiser A will be asking about the extent to which data harvested from its recent activity in the marketplace will be used to power the activity of its fellow WPP client, advertiser B. - The answer will be, doubtless, that A's data and B's data can be used for their mutual benefit and will give them both a distinct advantage over client C, which has foolishly decided to remain outside the WPP fold. - And, after all, clients have always been prepared to cede a modicum of control in entering into advantageous agency deal arrangements in the TV market. - But the online world, surely, is supposedly more transparent. So, it will be interesting to see the extent to which the bigger advertisers will be prepared to buy the WPP line. - And, anyway, who actually owns the data? Sir Martin Sorrell has already fired the opening shots (in Google's direction) in that debate.